The RB31FDRNDSA Samsung fridge freezer combines stylish design with the latest cooling technology to keep your food fresher for longer. Smart design features and functions make efficient use of space and provide flexible convenience. 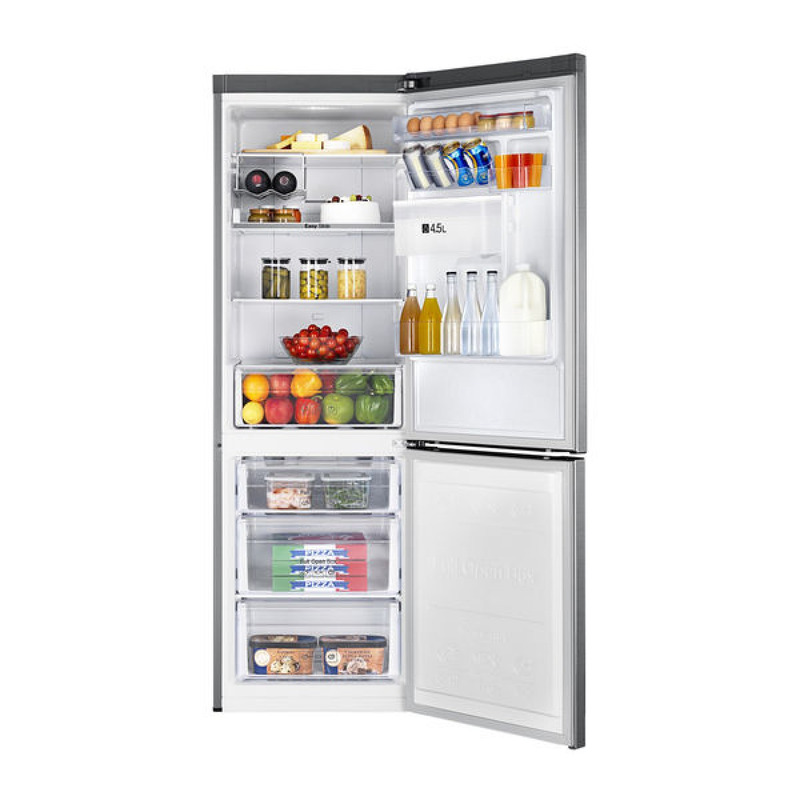 This frost-free fridge freezer will deliver more than enough room for your everyday needs. The fridge compartment hosts a roomy 210L of useable capacity and the freezer has 98L of capacity, perfect for a busy household. The silver finish with non-plumbed chilled water dispenser adds a contemporary look to your kitchen and is rated A+ for energy efficiency. Multi flow cooling, comes as standard on this model. Cool air outlets on each shelf level provide even cooling and help restore the fridge to its operating temperature more quickly after new items have been added. This multi flow cooling action ensures that food is kept fresher for longer. The no frost technology prevents a built up of ice by using circulating cold air to pick up excess moisture, that would ordinarily form frost. Gladly, this is all means no more defrosting the freezer and no more separating food frozen together. 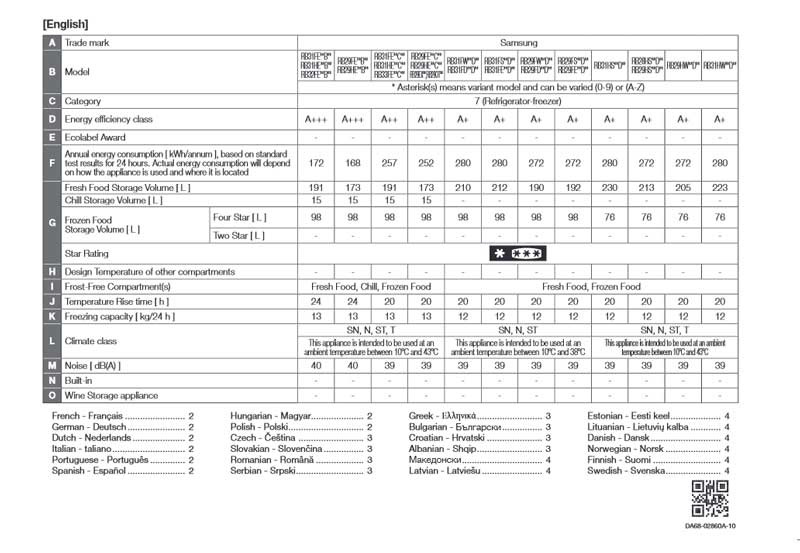 Power Freeze - Rapidly lowering the temperature of the freezer once new items have been added to ensure food is kept fresh and stored safely. Holiday Mode - Ensures the fridge operates in the most efficient way whilst you are away, yet keeps the freezer working normally. Chilled Water Dispenser - Provides chilled water on tap without the need for any plumbing. External display for complete control at your fingertips. 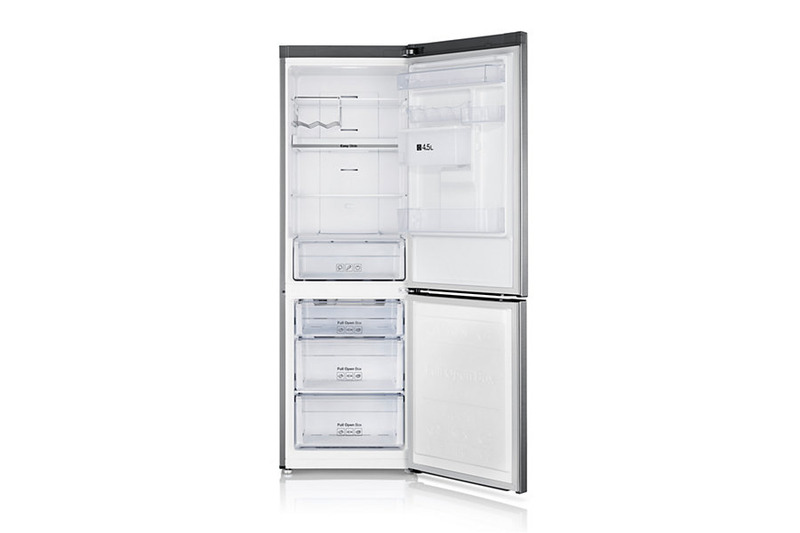 The Samsung RB31FDRNDSA fridge freezer has 3 full open freezer boxes so that large items can be easily stored. The fridge has three shelves as well as a large fruit and vegetable drawer and wine rack to store away any bottles. An easy slide shelf provides access to items at the back of the fridge. This model has a digital inverter compressor, which means that this fridge freezer is more energy efficient, saving on day-to-day running costs, whilst maintaining food at its freshest for longer. This digital inverter compressor technology comes complete with a 10-year warranty.